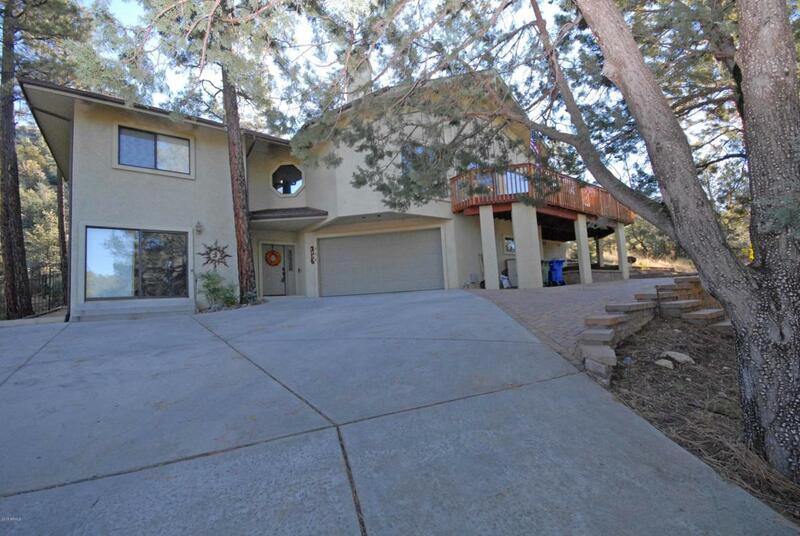 THIS GORGEOUS 4 BEDROOM 5 BATH HOME IS NESTLED IN THE PINES YET MINUTES TO DOWNTOWN PRESCOTT! THE HOME OFFERS PRIVACY AND STUNNING PICTURE WINDOWS TO CAPTURE THE TREES AND VIEWS. TWO WONDERFUL PATIOS TO ENJOY COFFEE ON THE PATIO AND NATURAL VEGETATION. FENCD BACK YARD TOO. NEW ROOF IN 8/2018.